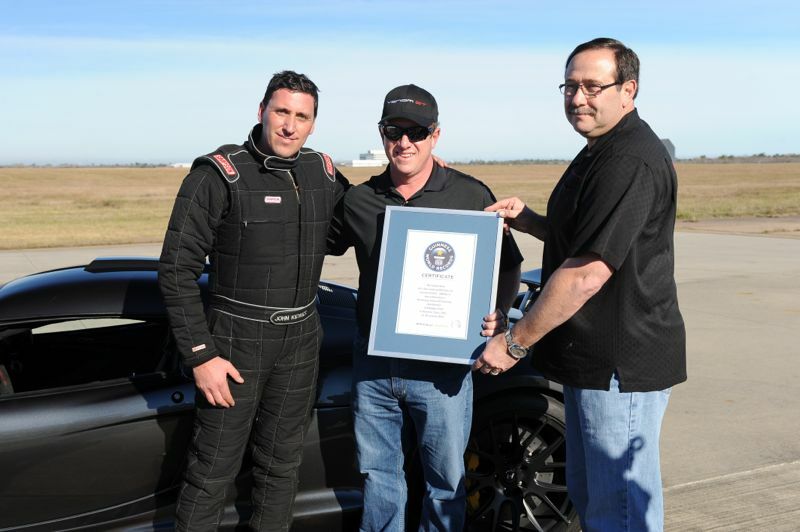 On January 10, 2013 John Kiewicz drove the Hennessey Venom GT to a new Guinness WORLD RECORD for a two-seat hypercar from 0 – 300 km/h in 13.63 seconds at Ellington Airport in Houston, Texas, USA. 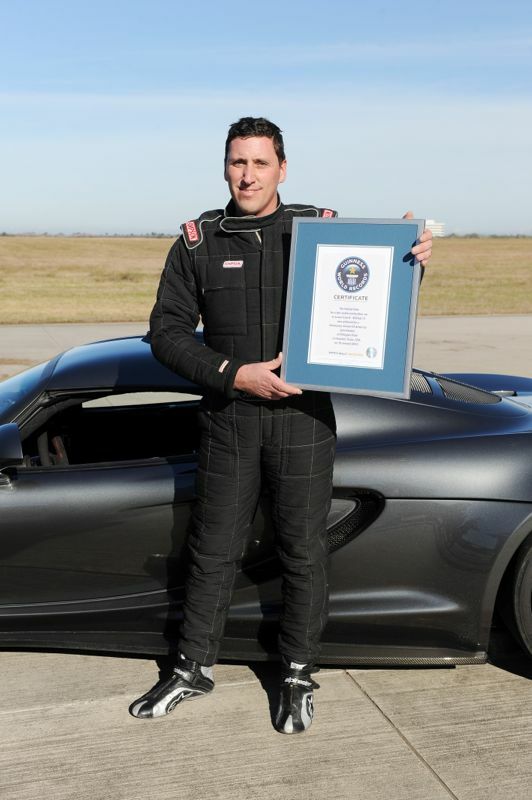 HOUSTON, Texas – Hennessey® Performance (HPE) today announced that on January 10, 2013 its street-legal Venom GT® supercar accelerated from 0-300 km/h in just 13.63 seconds, thus establishing the vehicle as a new record holder according to Guinness® WORLD RECORDS (GWR). The acceleration time was an average of two runs made in opposite directions within one hour and validated by a VBox 3i GPS-based data logging system. VBox officials were on hand to certify the numbers as required by Guinness® rules. The first run was completed in 13.18 seconds with a 4 mph tailwind. The second run was made in 14.08 seconds while encountering a 6 mph headwind. The resulting two-way 0-300 km/h average was 13.63 seconds. 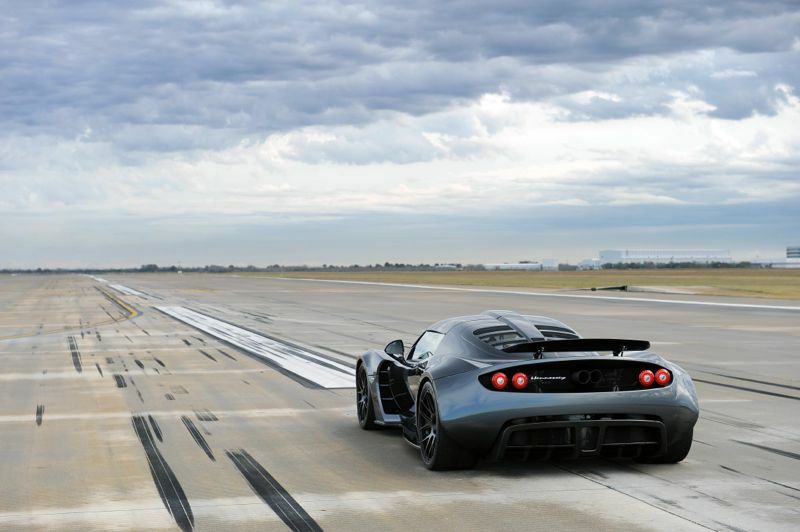 The acceleration runs were conducted at Ellington Airport (also used by NASA) located southeast of Houston, Texas, using the seventh production Venom GT® — a street-legal car that makes use of Michelin Pilot Sport Cup DOT-approved radial tires, 93-octane pump fuel, and a full interior replete with high-end stereo, air conditioning, and bespoke leather / Alcantara seats. 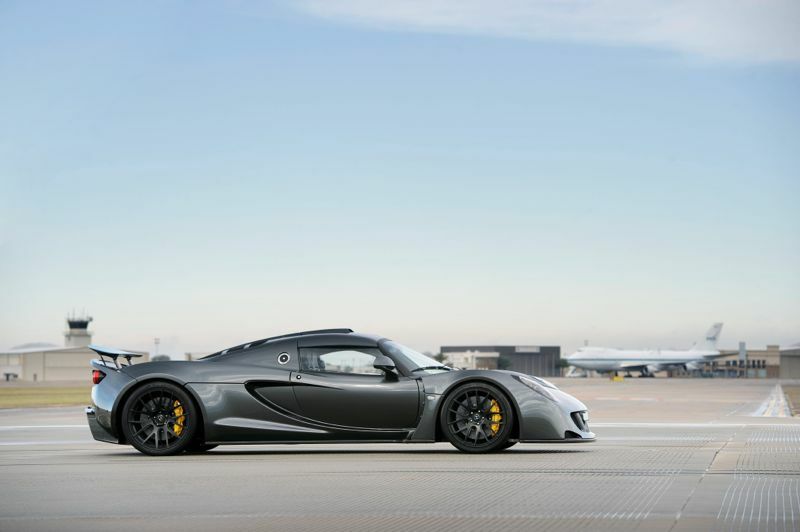 Powered by a 7.0-liter (427 cubic inch) V-8 engine fed by twin Precision turbochargers, the Venom GT® produces 1,244 horsepower and 1,155 lb-ft of torque. Weighing just 1,244 kg (2,743 lbs) the rear-wheel-drive Venom GT® delivers a power-to-weight ratio of 1 horsepower per each kilogram of vehicle curb weight. 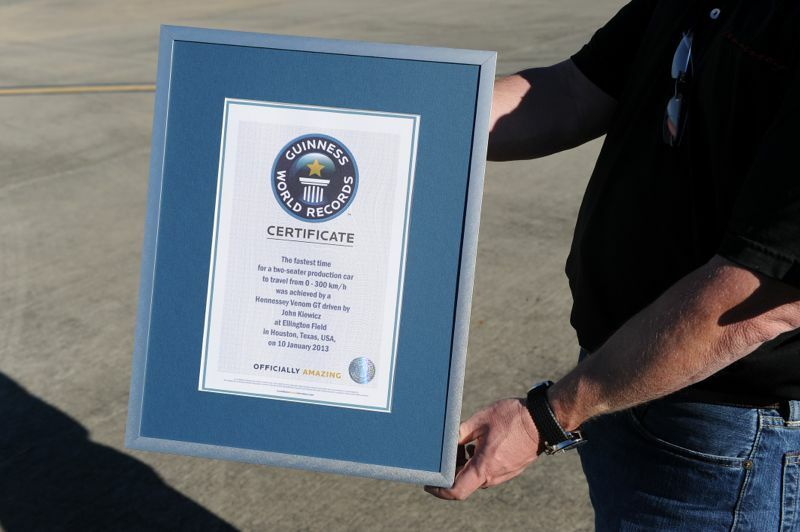 “We are especially grateful to the City of Houston and the staff at Ellington Airport for allowing to conduct this World Record attempt on their perfectly paved 8,000 ft. runway,” said Hennessey Performance CEO Don Goldman. 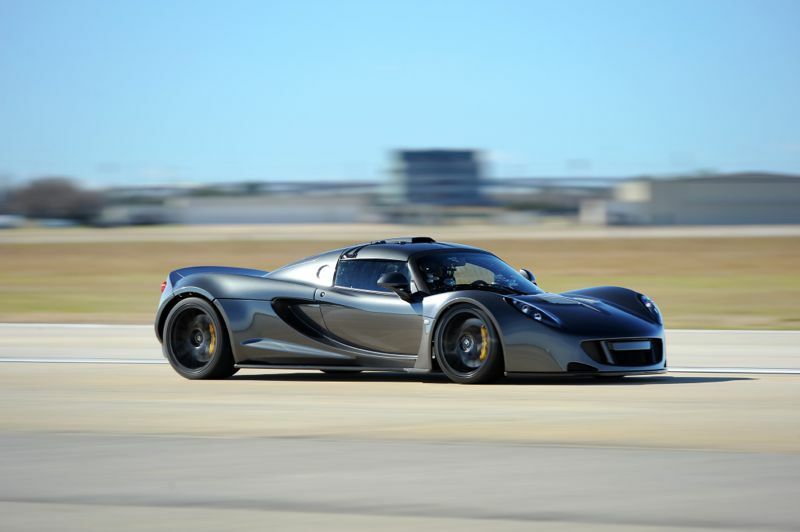 Although Guinness® only recognizes runs made in kilometers per hour (km/h), the Venom GT® also set a new unofficial acceleration record of 0-200 miles per hour (mph) in 14.51 seconds as verified by VBox GPS. 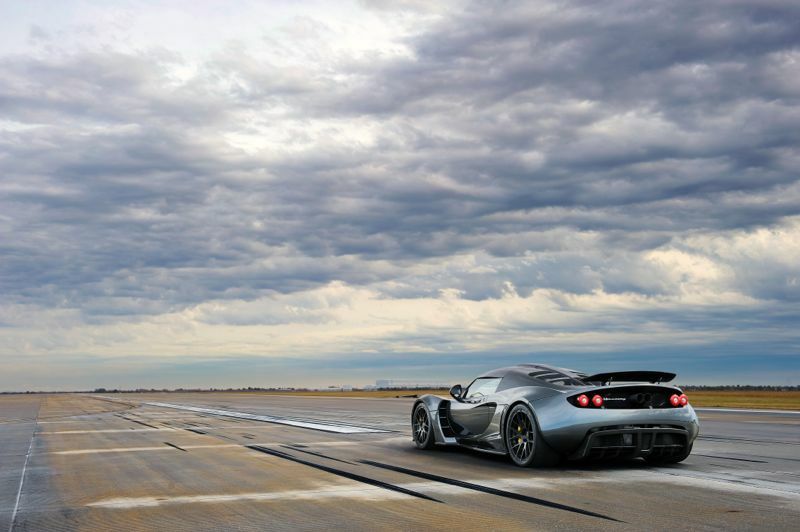 The 0-200 mph record was previous held by the Koenigsegg Agera R that required 17.68 seconds time— 3.17 seconds slower than the Venom GT®. 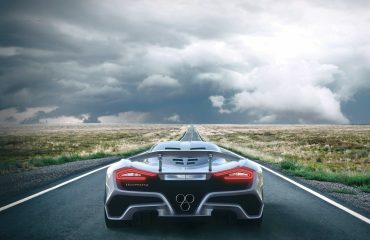 By comparison, the Bugatti Veyron Super Sport (powered by a 1,200 horsepower 8.0-liter, quad-turbocharged 16-cylinder engine channeling power through an all-wheel-drive system) ran 0-200 mph in 22.2 seconds— 7.7 seconds slower than the Venom GT®. 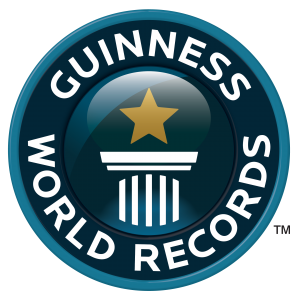 While conducting the Guinness® World Record runs, despite marginal traction (due to three days of previous rainfall), the Venom GT® accelerated from 0-60 mph in 3.05 seconds, 0-100 mph in 5.88 seconds, ran the standing quarter-mile in 10.29 seconds at 158.83 mph, and ran the standing half-mile at 205.65 mph. 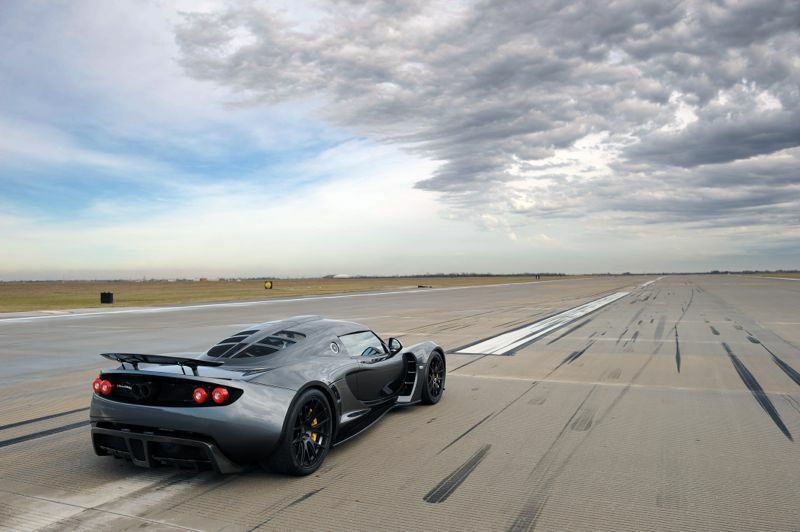 During testing done at Ellington Airport a few weeks prior to the Guinness® record runs, the Venom GT® accelerated to 300 km/h in 13.48 seconds while on its way to 370 km/h run (229.9 mph) in just 19.96 seconds. 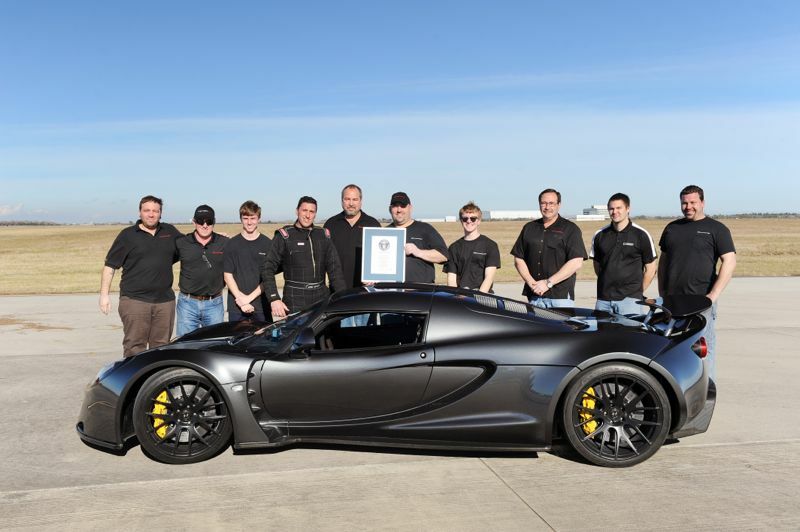 Hennessey® only plans to build a total of 29 Venom GTs, with one-third of the production run already being sold. 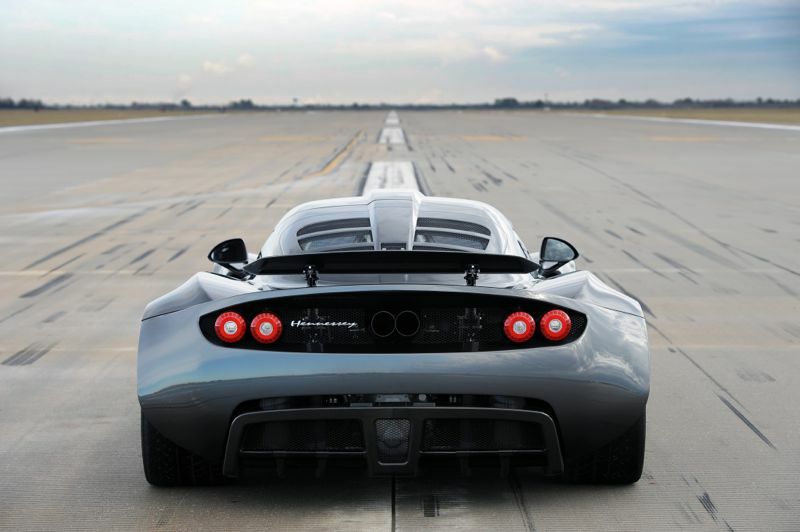 Thus, the Venom GT® is not only the fastest accelerating hypercar in the world, it’s also one of the most exclusive. 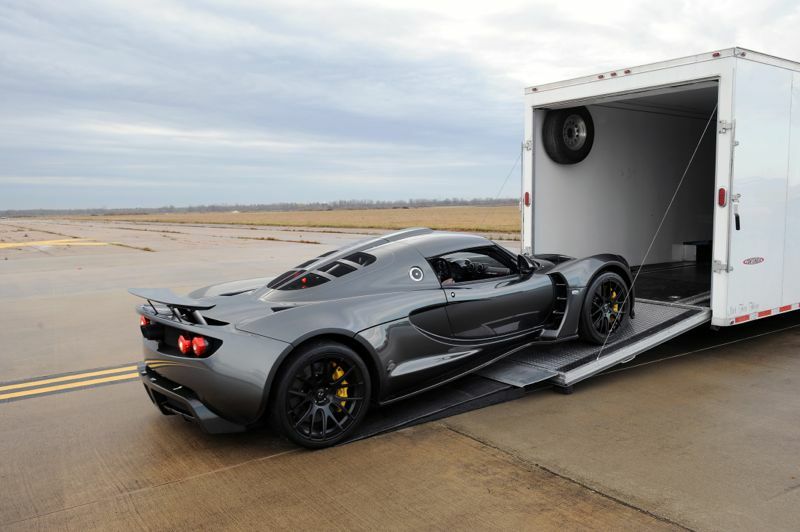 The Venom GT® costs $1.2 million US Dollars plus shipping and not including options. Each vehicle is custom built to order and requires six months for completion. 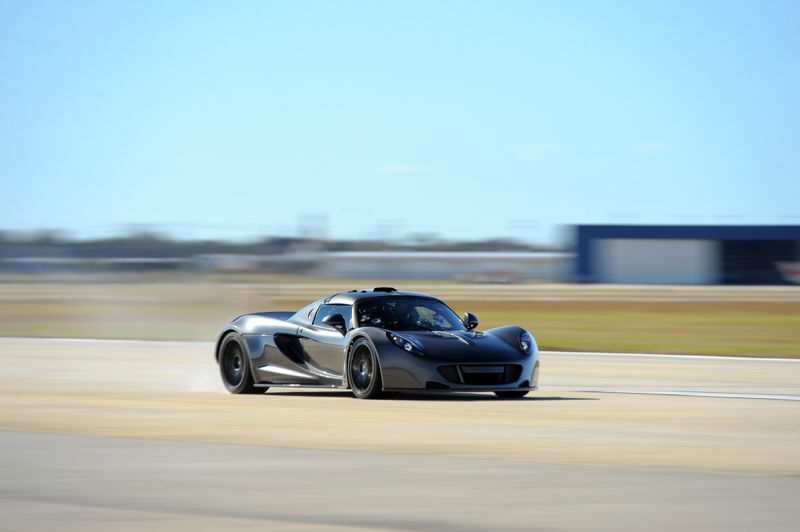 Established in 1991, Hennessey® Performance (HPE) now operates from a new facility comprised of a 36,000 square foot building that is located adjacent to Lonestar Motorsports Park, the company’s test track and IHRA sanctioned ¼ mile dragstrip. The 143-acre complex is located about 45 minutes west of Houston, Texas along Interstate 10. Hennessey® offer a wide variety of dyno-proven, track-tested parts for modern performance vehicles. In addition, Hennessey® operates Tuner School, the world’s first (fully state accredited) school dedicated to teaching and training future performance vehicle tuners. In 2010, Hennessey® Performance opened a new 12,500 square foot facility in Lake Forest, California, to better serve clients in Southern California. For more information, contact John Hennessey at Hennessey® Performance at 979.885.1300 or visit www.venomgt.com or www.hennesseyperformance.com.